Editor’s Note: As the Assembly of Bishops meets in Chicago on September 15-17, 2013, please review some of the following canonical issues related to unity. No term is used—and misused—among the Orthodox people in America more often than the term canonical. One hears endless discussions about the “canonicity” or the “uncanonicity” of this or that bishop, jurisdiction, priest, parish. Is it not in itself an indication that something is wrong or, at least, questionable from the canonical point of view in America, that there exists a canonical problem which requires an overall analysis and solution? Unfortunately the existence of such a problem is seldom admitted. Everyone simply claims the fulness of canonicity for his own position and, in the name of it, condemns and denounces as uncanonical the ecclesiastical status of others. And one is amazed by the low level and cynicism of these “canonical” fights in which any insinuation, any distortion is permitted as long as it harms the “enemy.” The concern here is not for truth, but for victories in the form of parishes, bishops, priests “shifting” jurisdictions and joining the “canonical” one. It does not matter that the same bishop or priest was condemning yesterday what today he praises as canonical, that the real motivations behind all these transfers have seldom anything to do with canonical convictions; what matters is victory. We live in the poisoned atmosphere of anathemas and excommunications, court cases and litigations, dubious consecrations of dubious bishops, hatred, calumny, lies! But do we think about the irreparable moral damage all this inflicts to our people? How can they respect the Hierarchy and its decisions? What meaning can the very concept of canonicity have for them? Are we not encouraging them to consider all norms, all regulations, all rules as purely relative? One wonders sometimes whether our bishops realize the scandal of this situation, whether they ever think about the cynicism all this provokes and feeds in the hearts of Orthodox people. Three Russian jurisdictions, two Serbian, two Romanian, two Albanian, two Bulgarian. A split among the Syrians . . . The animosity between the Russians and the Carpatho-Russians… The Ukrainian problem! And all this at a time when Orthodoxy in America is coming of age, when truly wonderful possibilities exist for its growth, expansion, creative progress. We teach our children to be “proud” of Orthodoxy, we constantly congratulate ourselves about all kinds of historic events and achievements, our church publications distill an almost unbearable triumphalism and optimism, yet, if we were true to the spirit of our faith we ought to repent in “sackcloth and ashes,” we ought to cry day and night about the sad, the tragical state of our Church. If “canonicity” is anything but a pharisaic and legalistic self-righteousness, if it has anything to do with the spirit of Christ and the tradition of His Body, the Church, we must openly proclaim that the situation in which we all live is utterly uncanonical regardless of all the justifications and sanctions that every one finds for his “position.” For nothing can justify the bare fact: Our Church is divided. To be sure, there have always been divisions and conflicts among Christians. But for the first time in history division belongs to the very structure of the Church, for the first time canonicity seems strangely disconnected from its fundamental “content” and purpose—to assure, express, defend and fulfill the Church as Divinely given Unity, for the first time, in other terms, one seems to find normal a multiplicity of “jurisdictions”. Truly we must wake up and be horrified by this situation. We must find in ourselves the courage to face it and to re-think it in the light of the genuine Orthodox doctrine and tradition, no matter what it will cost to our petty human likes and dislikes. For unless we, first, openly admit the existence of the canonical problem and, second, put all our thoughts and energies into finding its solution, the decadence of Orthodoxy will begin—in spite of the million-dollar churches and other magnificent “facilities” of which we are so justly proud. “For the time is come that judgment must begin at the house of God: and if it first begin at us, what shall the end be of them that obey not the gospel of God?” (1 PET. 4: 17). We must begin with a clarification of the seemingly simple notion of canonicity. I say “seemingly simple” because it is indeed simple enough to give a formal definition: “canonical is that which complies with the canons of the Church”. It is much more difficult, however, to understand what this “compliance” is and how to achieve it. And nothing illustrates better this difficulty than certain assumptions on which the whole canonical controversy in America seems to be grounded and which are in fact a very serious distortion of the Orthodox canonical tradition. There are those, for example, who solve the complex and tragical canonical problem of Orthodoxy in America by one simple rule, which to them seems a self-evident one: to be “canonical” one has to be under some Patriarch, or, in general, under some established autocephalous church in the old world. Canonicity is thus reduced to subordination which is declared to constitute the fundamental principle of church organization. Implied here is the idea that a “high ecclesiastical power” (Patriarch, Synod, etc.) is in itself and by itself the source of canonicity: whatever it decides is ipso facto canonical and the criterion of canonicity. But in the genuine Orthodox tradition the ecclesiastical power is itself under the canons and its decisions are valid and compulsory only inasmuch as they comply with the canons. In other terms, it is not the decision of a Patriarch or His Synod that creates and guarantees “canonicity”, but, on the contrary, it is the canonicity of the decision that gives it its true authority and power. Truth, and not power, is the criterion, and the canons, not different in this from the dogmas, express the truth of the Church. And just as no power, no authority can transform heresy into orthodoxy and to make white what is black, no power can make canonical a situation which is not canonical. When told that all Patriarchs have agreed with the Patriarch of Constantinople that Monotheletism is an Orthodox doctrine, St. Maximus the Confessor refused to accept this argument as a decisive criterion of truth. The Church ultimately canonized St. Maximus and condemned the Patriarchs. Likewise, if tomorrow all Patriarchs agree and proclaim in a solemn “tomos” that the best solution for Orthodoxy in America is to remain divided into fourteen jurisdictions, this decision will not make our situation canonical and this, for the simple reason that it does not comply with the canonical tradition or the truth of the church. For the purpose and the function of the Hierarchy is precisely to keep pure and undistorted the tradition in its fulness, and if and when it sanctions or even tolerates anything contrary to the truth of the church, it puts itself under the condemnation of canons, `1] And it is indeed ironical that in America the canonical subordinationism, exalted by so many as the only source and guarantee of “canonicity”, is being used to justify the most uncanonical situation one can imagine; the simultaneous jurisdiction of several bishops in the same territory, which is a betrayal of both the letter and the spirit of the whole canonical tradition. For this situation destroys the fundamental “note” of the Church: the hierarchical and structural unity as the foundation and the expression of the spiritual unity, of the Church as “unity of faith and love.” If there exists a clear and universal canonical principle it is certainly that of jurisdictional unity  and, therefore, if a peculiar “reduction” of canonicity leads to the de facto destruction of that principle, one can apply to it the words of the Gospel: “Ye shall know them by their fruits” (Matth. 7, 16). “Canonical subordinationism” is the best indication of how deeply “westernized” we have become in our canonical thinking. Canonicity has been identified not with truth, but with “security.” And nothing short of a real canonical revival can bring us back to the glorious certitude that in Orthodoxy there is no substitute for Truth. We have here a clearcut clash between the two “canonical logics.” On the one hand, there is the logics of organic continuity in a Church which knows herself to be a reality, a body, a living continuity and which, for the very sake of that continuity and growth, dares to take steps best suited to that purpose. And there is, on the other hand, the legalistic logics in which the whole Church life is nothing but a system of jurisdictional subordination. The creation of the Patriarchal Exarchate is, from this point of view, a very interesting phenomenon. It implies that a Church can be created, so to speak, ex nihilo, by the simple fact of the arrival to the U.S.A. of Bishop Benjamin. It implies also, that in the Muscovite thinking the continuity of the Church in America lies not in her long and organic development, but exclusively in her jurisdictional dependence of Moscow. And it is really astonishing how many people, even those who claim to “understand” and “justify” the Metropolia, but mainly for non-ecclesiastical reasons, fail to realize that by the standards of a genuinely Orthodox canonical and ecclesiastical tradition, the only real schism was originated by the declaration of Metropolitan Sergiy of Moscow that Archbishop Benjamin had “organized in New York a Diocesan Council and that our North American Diocese has begun official existence.”  This act broke the real continuity of the American Church, introduced division among Orthodox people, weakened the discipline which was restored with such pain after Detroit, opened the door to endless controversies and accusations and, in general, contributed to the canonical chaos in which we live today. And if Apostolic succession has been established for the sake of unity and sobornost, and must never become the vehicle of exclusiveness and division, if, in other terms, a schism is an act of division, a break in the real continuity of the Church, it was the establishment of the Exarchate that provoked a schism, and a rupture of canonicity. We mention the Russian tragedy because, as the time goes on, it becomes more and more: obviously a kind of “pattern” for the whole canonical tragedy of American Orthodoxy. What happened to the Russians is happening mutatis mutandis to the others, the Serbians, the Romanians, the Bulgarians, the Syrians, and for the same fundamental reason: the growing discrepancy between the real situation, the real continuity, the real needs of Orthodoxy here and the various “situations” in Bucharest or Damascus, Istanbul or Moscow. If the jurisdictional dependence of American Churches on these centers in the early, formative period of Orthodoxy here was a self-evident form of its continuity, it has become today, paradoxically as it sounds, the cause of discontinuity and division. It is a significant fact that, with some very few exceptions, the schisms and conflicts which poison our life here and obstruct all real progress, are rooted not in the American situation itself, but precisely in this formal “dependence” on ecclesiastical centers located thousands of miles away from America and radically alienated from the real needs of the Church in America. A Bishop virtually without parishes is recognized as “canonical” because he is “recognized” by his Patriarch, but a Bishop of the same Church with a flourishing Diocese and with organic roots in the real continuity of the Church here is declared “uncanonical” for lack of such recognition. An unnecessary and vicious split in a relatively small Archdiocese is declared “canonical,” because ten Bishops in the Middle East have decided so. A priest in trouble in his own diocese is always welcome in some other jurisdiction. We are constantly told that something is “canonical,” because it is “recognized” as canonical by such or such Patriarch or Synod. But, once more, in the Orthodox teaching canonical is that which complies with the canons and the canons express the truth of the church. We must openly reject the “romanizing” theory that something is true because some infallible authority has decreed that it is true. In the Orthodox Church truth itself is the supreme authority and criterion. At one time the Patriarch of Constantinople “recognized” as Orthodox and canonical the so-called “Living Church” in Russia. This did not make it either Orthodox or canonical. No Patriarch, no Synod—be it in Moscow or Belgrade or in any other place—has the infallible charisma to understand the needs and the truth of the American situation better than the Orthodox people who constitute the Church here. In fact, it is their lack of genuine pastoral interest in the real needs of the Church in America, it is their “recognitions” and “excommunications” that made the Orthodox Church here a pitiful chaos. Obviously, as long as we believe that the Holy Spirit acts in America only via Damascus or Sofia, Bucharest, or Moscow, as long as our Bishops, forgetting the real content of the doctrine of Apostolic succession which makes them the representatives of God and not of Patriarchs, think of themselves as caretakers of interests having nothing to do with the interests of Orthodoxy in America, as long, in other terms, as we reduce the Church, her life, her unity, her continuity to blind and legalistic subordination, thc canonical chaos will continue, bearing with it the fatal deterioration of Orthodoxy. Finally, all this leads to (and also in part proceeds from) the harmful and un-Orthodox reduction of canonicity to an almost abstract principle of validity. When a man has been consecrated bishop by at least two other bishops, he is considered as a “valid” bishop regardless of the ecclesiastical and ecclesiological content of his consecration. But Orthodox tradition has never isolated validity into a “principle in itself,” i.e. disconnected from truth, authenticity and, in general, the whole faith and order of the Church. It would not be difficult to show that the canonical tradition, when dealing with holy orders and sacraments, always stresses that they are valid because they are acts of, and within, the Church which means that it is their authenticity as acts of the Church that make them valid and not vice-versa. To consider validity as a self-contained principle leads to a magical understanding of the Church and to a dangerous distortion of ecclesiology. Yet in America, under the impact of the multi-jurisdictional chaos this idea of validity per se appears more and more as the only criterion. There grows around us a peculiar indifference to authenticity, to elementary moral considerations. A Bishop, a priest, a layman can be accused of all sorts of moral and canonical sins: the day when he “shifts” to the “canonical” jurisdictions all these accusations become irrelevant; he is “valid” and one can entrust to him the salvation of human souls! Have we completely forgotten that all the “notae” of the Church are not only equally important but also interdependent, and what is not holy—i.e. right, moral, just, canonical, cannot be “apostolic”? In our opinion nothing has harmed more the spiritual and moral foundations of Church life than the really immoral idea that a man, an act, a situation are “valid” only in function of a purely formal “validity in itself.” It is this immoral doctrine that poisons the Church, makes parishes and individuals think of any jurisdictional shift as justified as long as they “go under a valid bishop” and makes the Church cynical about and indifferent to, considerations of truth and morals. The canonical chaos in America is not a specifically “American” phenomenon. Rather, Orthodoxy here is the victim of a long, indeed a multi-secular disease. It was a latent disease as long as the Church was living in the old traditional situation characterized primarily by an organic unity of the State, the ethnic factor and the ecclesiastical organization. Up to quite recently, in fact up to the appearance of the massive Orthodox diaspora, ecclesiastical stability and order were preserved not so much by the canonical “consciousness,” but by State regulations and control. Ironically enough it made not much difference whether the State was Orthodox (The Russian Empire, the Kingdom of Greece), Roman Catholic (Austro-Hungary) or Muslim (the Ottoman Empire). Members of the Church could be persecuted in non-Orthodox States, but Church organization—and this is the crux of the matter—was sanctioned by the State and could not be altered without this sanction. This situation was, of course, the result of the initial Byzantine “symphony” between Church and State, but after the fall of Byzantium it was progressively deprived of that mutual interdependence of Church and State which was at the very heart of the Byzantine theocratic ideology. What is important for us here and what constitutes the “disease” mentioned above is that this organic blend of State regulations, ethnical solidarity and Church organization led little by little to a divorce of the canonical consciousness from its dogmatical and spiritual context. Canonical tradition, understood at first as an organic part of the dogmatical tradition, as the latter’s application to the empirical life of the Church, became Canon Law: a system of rules and regulations, juridical, and not primarily doctrinal and spiritual, in their nature and interpreted as such within categories alien to the spiritual essence of the Church. Just as a lawyer is the: one who can find all possible precedents and arguments that favor his “case”, a canonist, in this system of thought, is the one who, in the huge mass of canonical texts, can find that one which justifies his “case,” even if the latter seems to contradict the spirit of the Church. And once such “text” is found, “canonicity” is established. There appeared, in other terms, a divorce between the Church as spiritual, sacramental essence and the Church as organization so that the latter ceased in fact to be considered as the expression of the first, fully dependent on it. If today in America so many of our laymen are sincerely convinced that the parish organization is an exclusively legal or “material” problem and ought to be handled apart from the “spiritual,” the root of this conviction is not only in the specifically American ethos, but also in the progressive secularization of canon law itself. And yet the whole point is that canons are not mere laws, but laws whose authority is rooted precisely in the spiritual essence of the Church. Canons do not constitute or create the Church, their function is to defend, clarify and regulate the life of the Church, to make it comply with the essence of the Church. This means that in order to be properly understood, interpreted and applied, canonical texts must be always referred to that truth of, and about, the Church, which they express sometimes for a very particular situation and which is not necessarily explicit in the canonical text itself. If we take the canonical area which interests us more particularly in this essay, that of ecclesiastical organization and episcopal power, it is evident that the basic reality or truth to which all canons dealing with bishops, their consecration and their jurisdiction point and refer, is the reality of unity, as the very essence of the Church. The Church is unity of men with God in Christ and unity of men one with another in Christ. Of this new, divinely given and divine unity the Church is the gift, the manifestation, the growth and the fulfillment. And, therefore, everything in her organization, order and life is in some way or another related to unity, and is to be understood, evaluated and, if necessary, judged by it. The dogmatical or spiritual essence of the Church as unity is thus the criterion for the proper understanding of canons concerning Church organization and also for their proper application. If the canons prescribe that a bishop must be consecrated by all bishops of the province (cf. Apostolic Canon 1, 1 Oecum, Canon 4) and only in case of “some special reason or owing to the distance” by two or three, the meaning of the canon is obviously not that any two or three bishops can “make” another bishop, but that the consecration of a bishop is the very sacrament of the Church as unity and oneness. To reduce this canon to a formal principle that there must be at least two bishops for a “valid” episcopal consecration is simply nonsensical. The canon both reveals and safeguards an essential truth about the Church and its proper application is possible, therefore, only within the full context of that truth. And only this context explains why canons which apparently are anachronistic and have nothing to do with our time and situations are not considered as obsolete but remain an integral part of Tradition. To be sure the Melitian schism which divided Egypt at the beginning of the fourth century has in itself no great importance for us. Yet the canons of the First Ecumenical Council which defined the norms for its solution keep all their significance precisely because they reveal that truth of the Church in the light of which, and for the preservation of which that schism was solved. All this means that the search for canonicity consists not in an accumulation of “texts,” but in the effort, first, to understand the ecclesiological meaning of a given text, and then, to relate it to a particular and concrete situation. The necessity for such an effort is especially obvious here in America. The American ecclesiastical situation is unprecedented in more than one respect. Enough time and energy have been spent in sterile attempts simply to “reduce” it to some pattern of the past, i.e. to ignore the real challenge it presents to the canonical conscience of the Church. The unprecedented situation of American Orthodoxy is that the Church here, different in this from all other parts of the Orthodox world, is multinational in its origins. 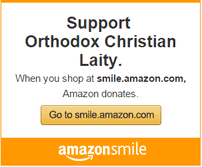 Since the Byzantine era, Orthodoxy was always brought to and accepted by whole nations. 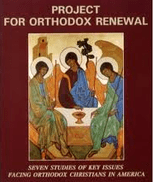 The only familiar pattern of the past, therefore, is not the creation of mere local churches, but a total integration and incarnation of Orthodoxy in national cultures; so that these cultures themselves cannot be separated from Orthodoxy but, in their depth, are genuine expressions of Orthodoxy. This organic unity of the national and religious is not a historical accident, much less a defect of Orthodoxy. In its positive expression it is the fruit of the Orthodox concept and experience of the Church as embracing the whole life. Catholicity means for an Orthodox more than geographic universality; it is, above everything else, the wholeness, the totality of life as belonging to Christ and sanctified by the Church. In this respect, the situation in America is radically different from the whole historical experience of Orthodoxy. Not only the Orthodox Church was brought here by representatives of various Orthodox nations, but it was brought as precisely the continuation of their national existence. Hence the problem of canonical or ecclesiological unity, which as we have seen is a self-evident requirement of the very truth of the Church, encounters here difficulties that cannot be simply reduced to the solutions of the past. And yet, this is precisely what happens much too often. On the one hand, there are those who believe that the old pattern of national and religious unity can be simply applied to America. The Church is Greek in Greece, Russian in Russia, therefore it must be American in America—such is their reasoning. We are no longer Russians or Greeks, let us translate services in English, eliminate all “nationalism” from the Church and be one. Logical as it sounds, this solution is deeply wrong and, in fact, impossible. For what, in their cheerful but superficial “Americanism,” the partisans of this view seem completely to overlook is that the rapport between Orthodoxy and Russia, or Orthodoxy and Greece, is fundamentally different from, if not opposed to, the rapport between Orthodoxy and America. There is not and there cannot be a religion of America in the sense in which Orthodoxy is the religion of Greece or Russia and this, in spite of all possible and actual betrayals and apostasies. And for this reason Orthodoxy cannot be American in the sense in which it certainly is Greek, Russian or Serbian. Whereas there, in the old world, Orthodoxy is coextensive with national culture, and to some extent, £r the national culture (so that the only alternative is the escape: into a “cosmopolitan,” viz. “Western” culture), in America, religious pluralism and therefore, a basic religious “neutrality,” belongs to the very essence of culture and prevents religion from a total “integration” in culture. Americans may be more religious people than Russians or Serbs, religion in America may have privileges, prestige and status it has not had in the “organic” Orthodox countries, all this does not alter the77fundamentally secular nature of contemporary American culture; and yet it is precisely this dichotomy of culture and religion that Orthodoxy has never known or experienced and that is totally alien to Orthodoxy. For the first time in its whole history, Orthodoxy must live within a secular culture. This presents enormous spiritual problems with which I hope to deal in a special article. What is important for us here, however, is that the concept of “Americanization” and merman Orthodoxy is thus far from being a simple one. It is a great error to think that all problems are solved by the use of English in services, essential as it is. For the real problem (and we will probably only begin to realize and to face it when”‘ everything is translated into English) is that of culture, of the “way of life.” It belongs to the very essence of Orthodoxy not only to “accept” a culture, but to permeate and to transform it, or, in other terms, to consider it an integral part and object of the Orthodox vision of life. Deprived of this living interrelation with culture, of this claim to the whole of life, Orthodoxy, in spite of all formal rectitude of dogma and liturgy, betrays and loses something absolutely essential. And this explains the instinctive attachment of so many Orthodox, even American born, to the “national” forms of Orthodoxy, their resistance, however narrow-minded and “nationalistic,” to a complete divorce between Orthodoxy and its various national expressions. In these forms and expressions Orthodoxy preserves something of its existential wholeness, of its link with life in its totality, and is not reduced to a “rite,” a clearly delineated number of credal statements and a set of “minimal rules.” One cannot by a surgical operation called “Americanization” distill a pure “Orthodoxy in itself,” without disconnecting it from its flesh and blood, making it a lifeless form. There can be no doubt, therefore, that in view of all this, a living continuity with national traditions will remain for a long time not only a compromise ‘ meant to satisfy the “old-timers,” but an essential condition for the very life of the Orthodox Church. And any attempt to build the unity of Orthodoxy here by opposing the “American” to the traditional national connotations and terms will lead neither to a real unity nor to real Orthodoxy. But equally wrong are those who from this interdependence of the national and the ecclesiastical within Orthodoxy draw the conclusion that, therefore, the ecclesiastical, i.e. “jurisdictional unity of the Orthodox Church in America is impossible and ought not even to be sought. This view implies a very narrow and obviously distorted idea of the Church as a simple function of national identity, values and self-preservation. “National” becomes here “nationalistic” and the Church—an instrument of nationalism. One must confess that one gets tired of the frequent exhortation to “keep the faith of our fathers.” By the same reasoning a man of Protestant descent should remain Protestant and a Jew a Jew, regardless of their religious convictions. Orthodoxy should be kept and preserved not because it is the “faith of our fathers,” but because it is the true faith and as such is universal, all-embracing and truly catholic. A convert, for example, embraces Orthodoxy not because it is somebody’s “father’s faith,” but because he recognizes in it the Church of Christ, the fulness of faith and catholicity. Yet it is impossible to manifest and communicate that fulness, if the Church is simply identified with an ethnic group and its natural exclusiveness. It is not the task or the purpose of Orthodoxy to perpetuate and “preserve” the Russian or the Greek national identity, but the function of Greek and Russian “expressions” of Orthodoxy is to perpetuate the “catholic” values of Orthodoxy which otherwise would be lost. “National” here has value not in itself, but only inasmuch as it is “catholic,” i.e. capable of conveying and communicating the living truth of Orthodoxy, of assuring the organic continuity of the Church. Orthodoxy, if it is to remain the vehicle and the expression of a national “subculture” (and in America every exclusive ethnical nationalism is, by definition, a subculture), will share the latter’s inescapable disintegration and dissolution. Orthodoxy as the natural solidarity and affinity of people coming from the same island, village, geographical area or nation (and we have, in fact, “jurisdictional” expressions of all these categories) cannot indefinitely resist and survive the pressure of the sociological law which condemns such solidarities to a sooner or later death. What is required, therefore, is not only unity and cooperation among various national “jurisdictions,” but a return to the real idea of unity as expressing the unity of the Church and the catholicity of her faith and tradition. Not a “united” Church, but the Church. The unprecedented character of the American Orthodox situation results thus in a double requirement. The Church here must preserve, at least for a foreseeable period of time, its organic continuity with the national cultures in which she has expressed the catholicity of her faith and life. And she must, in order to fulfill this catholicity, achieve its canonical unity as truly One Church. Is this possible? The answer to this question is in the doctrinal and canonical tradition, but only if we look for its depth and truth, and not for petty and legalistic “precedents” of a situation that has none. The canonical solution of which, in these concluding paragraphs, we can give only a very general and preliminary sketch, presents itself on three levels, which although they are levels or aspects of the same ecclesiastical structure must nevertheless be kept distinct. There can be no doubt that the unity of the Church, as expressed in her canonical structure, is expressed, first of all, in and through the unity of the Episcopate. Episcopatus unus est, wrote St. Cyprian of Carthage in the third century. This means that each local or particular church is united to all other churches, reveals her ontological identity with them, in its bishop. Just as every bishop receives the fulness of his episcopate from the oneness of the Episcopate: expressed in the plurality of the consecrators, this fulness includes, as its very essence, his unity with the whole Episcopate. In the preceding pages we have spoken enough of the distortions implied in canonical subordinationism. It must be strongly emphasized, however, that it is the distortion of a fundamental truth: the unity and the interdependence of the bishops as the form of the Church’s unity. The error of canonical subordinationism is that it understands unity only in terms of subordination (of a bishop to his “superiors”) whereas, in Orthodox ecclesiology, subordination or obedience is derived from the unity of bishops. There: is indeed no power above the episcopal power, but this power itself implies the bishop’s agreement and unity with the whole Episcopate, so that a bishop separated from the unity of bishops loses ipso facto his “power.”  In this sense a bishop is obedient and even subordinated to the unity and unanimity of bishops, but because he himself is a vital member of that unity. His subordination is not to a “superior,” but to the very reality of the Church’s unity and unanimity of which the Synod of bishops is the gracious organ: “The bishops of every nation must acknowledge him who is first among them and account him as their head, and do nothing of consequence without his consent. hilt neither let him. do anything without the consent of all; for so there will be unanimity” (Apost. Canon 34). The fundamental form and expression of episcopal unity is the Synod of bishops and it would not be difficult to show that all subsequent forms of ecclesiastical and canonical structure (provinces, metropolitan districts, autocephalous churches) grew from this fundamental form and requirements of the canonical tradition. The various modes of groupings of local churches may have varied. Thus, the present structure of Orthodoxy as a family of “autocephalous churches” is by no means the original one. Yet what cannot change is the “Synod of bishops” as the expression of the Church’s unity. It is very significant, however, that whenever and wherever the spirit of canonical subordinationism” triumphs, the idea of the Episcopate’s unity and, therefore, of the Synod of bishops becomes dormant (without, of course, disappearing completely). When, for example, the Russian Church under Peter the Great was given the status of a “Department of Orthodox Confession” with, as its result, a bureaucratic system of administration through subordination, the Russian Episcopate did not have a plenary Synod for more than two hundred years! And, in general, since “canonical subordinationism” became more or less the working system of the Church’s government, the bishops themselves felt no need of Synods and “sobornost.” They were satisfied with “Patriarchal” or “Governing” Synods, which, although retaining something of the original ecclesiological idea, were in fact, the products of the secular principle of “centralized administration” rather than of the ecclesiastical norm of episcopal unity. But it is very important that we understand the difference between a “central administration,” even if it is called “Synod,” and the true ecclesiological nature of an episcopal Synod. A central administration may consist of bishops (as the Russian Holy Synod, or the Patriarchal Synod of Constantinople), but its very function and nature is to supply the Church with a “high power” not only not derived from the unity of bishops, but meant to be a power above them. Not only is it not the expression of the power of the bishops but, on the contrary, it is understood as the source of their power. But this is a deep distortion of the very nature of power in the Church, which is the power of the bishops united among themselves and united with their respective Churches as their priests, patrons and teachers. In the Synod of bishops properly understood, all Churches are truly represented in the person of their bishops and, in the early tradition, a bishop without a Church, i.e. without the reality of his episcopacy, is not a member of the Synod. The Synod of bishops is the “higher power” because it speaks and acts in and for the Church and takes from the real, living Church the truth of its decisions. All this brings us to the first “dimension” of the American canonical solution: the unity of the Orthodox Church of America is to be achieved and expressed, first of all, on the level of the Episcopate. There hardly can be any doubt that America is a “province” in the canonical sense of this term, that all Orthodox churches here, regardless of their national origin, share in the same empirical, spiritual and cultural situation, that the life and the progress of each one of them depends on the life and the progress of the whole. So much has been already acknowledged by our bishops when they established their Standing Conference. But this Conference is a purely consultative body, it has no canonical status whatsoever, and useful and efficient as it is, it cannot solve any of the real problems because it reflects the division of Orthodoxy here, as much as its unity. The bishops must constitute the Synod of the Orthodox Church of America and this, prior to any other “unification.” For this Synod will reveal and manifest in itself the unity of the Church which up to now exists in the defective multitude of mutually independent “jurisdictions.” And they must and can do it simply in virtue of their Episcopate which already unites them. It is, in other words, not something new that is required from them, but the self-evident manifestation of the truth that Episcopatus Unus Est, of the very essence of the Episcopate which cannot belong to torches, but always belongs to the Church in her indivisibility and oneness. One can almost visualize the glorious and blessed day when some forty Orthodox Bishops of America will open their first Synod—in New York, or Chicago, or Pittsburgh—with the hymn “Today hath the grace of the Holy Spirit assembled us together …. “and will appear to us not as “representatives” of Greek, Russian or any other “jurisdictions” and interests, but as the very icon, the very epiphany of our unity within the Body of Christ; when each of them and all together will think and deliberate only in terms of the whole, putting aside for a while all particular or national problems, real and important as they may be. On that day we shall “taste and see” the oneness of the Orthodox Church in America even if nothing else is changed and the various national ecclesiastical structures remain for a while in operation. But, in fact, much will be changed. Orthodoxy in America will acquire a center of unity, of cooperation, a sense of direction, a “term of reference.” We do not have to enumerate here all problems that face us and which, at present, cannot be solved because no “jurisdiction” is strong enough to do it by itself. What is even more important, this center of hierarchical unity will eliminate the numberless frictions among “jurisdictions” which result in consecrations of new and sometimes very dubious bishops. If the duty of the Synod according to canon law, is to approve all episcopal consecrations “and let those who are absent signify their acquiescence in writing” 1 Ecum. Canon 4), the very existence of a Synod will bring order into our jurisdictional chaos, transform it into a truly canonical structure. The first stage described above is so self-evident that it requires no lengthy elaboration. The next one has never been really discussed and yet, if given some thought, appears to be as obvious. It deals with the second level of unity which is that of the Diocese. At this point, some statistical data may be quite relevant: in the State of Ohio, to take but one example, there exist at present 86 Orthodox parishes. They belong to 14 different jurisdictions, which means that every group is very small and, of necessity, extremely limited in its educational, charitable and any other “extra-parish” activities. There is no Orthodox Bishop in Ohio, no center of unity except the local “clergy fellowships.” It is not difficult to imagine what could be the possibilities of all these parishes if they belonged to one local ecclesiastical structure. Deprived of it, each parish lives “in-itself,” without any real vision of the whole. And yet there are scores of colleges in Ohio with an urgent need for Orthodox programs, there are obvious educational and charitable needs, and there is, above everything else, the need for a common Orthodox witness in a non-Orthodox world. But is it not the very purpose and function of a Diocese to keep the parishes together, to make them living parts of a greater whole, indeed, the Church? A parish, left to itself, can never be truly catholic, for it is of necessity limited by the concerns and interests of its people. And it is maybe one of the greatest and the deepest tragedies of American Orthodoxy that the parishes have been, in fact, left to themselves and have become selfish and self-centred institutions. But how can a Bishop living in New York be a living center of unity and leadership in Ohio, especially if his power is limited to a group of scattered parishes? No wonder our people grow in an almost complete ignorance of a Bishop’s function in the Church and think of him as a “guest speaker” at a parish celebration. But suppose we have a Bishop of Ohio. Suppose a diocesan center is established which guides and centralizes all common concerns of the Orthodox Church in Ohio, which—instead of being, as it is today a principle of division, becomes a principle of unity and common life. Is it really necessary to even argue in favor of such a solution? Is it not a self-evident one? To be sure there are difficulties. The Church is multinational: to what nationality will the Bishop belong? But is it an absolute difficulty? Can it not be solved if some goodwill, some patience and, above all, some desire for unity is shown? Is it very difficult to work out a diocesan constitution which will incorporate and foresee these difficulties? There could be provisions for a multinational council to assist the Bishop, a system of rotation of “nationalities,” a set of cheeks and balances. The experience of Orthodox which have almost spontaneously mushroomed all over thc country shows that a basis already exists for such a common structure, both spiritually and materially, and that it needs only to be crowned with its logical, canonical consequence. Finally, the third level: the parish. It is here that the national cultural unity, which, whether we like it or not, still constitutes a vital necessity for American Orthodoxy, fulfills its ecclesiastical function. It is probable that for quite a while the parishes will remain predominantly, if not exclusively, colored by their national background. This, of course, does not exclude the establishment of “pan-Orthodox” parishes wherever a national group is too weak to maintain its own (in new suburbia, for example). But, as a general rule, a parish cannot live by an “abstract” Orthodoxy. In reality it is always shaped by this or that liturgical tradition and piety, belongs to a definite “expression” of Orthodoxy. And it is good that it be so. At this stage of the history of Orthodoxy in America it would be spiritually dangerous—and we have explained why—to break this organic continuity of piety and culture, of memory and custom. There are some among us who dream of “uniformity” in everything, thinking that uniformity and unity are identical. But this is wrong and it reflects a very formal and not a spiritual understanding of unity. It may be the source of many blessings for the growing Orthodox Church in America that it will profit: by the best in each national culture, will “appropriate” the whole heritage of the Orthodox Church. For through its unity with parishes of all the other national backgrounds within the Diocesan framework, each national parish will share its “riches” with the others and, in turn, receive from the others their gifts— and this is indeed the real catholicity! The national culture of one group will cease to be a principle of separation, of exclusiveness, of self-centeredness and, will cease, thus, to deteriorate into a psychological and spiritual “isolationism.” And maybe it is in America that God wants us to heal the multi-secular national isolation of Orthodox Churches, one from another, and this not by abandoning all that made the spiritual beauty and meaning of Greek, Russian, Serbian and all other “Orthodoxies,” but by giving each of them finally their catholic and universal significance. It is here that we can all share and consider as truly our the spiritual legacies of the Greek Fathers, the paschal joy of St. Seraphim of Sarov, the warm piety hidden for centuries in the Carpathian mountains. Then and only then Orthodoxy will be ready for a real encounter with America, for its mission to America …. In the last analysis the requirements of our Orthodox canonical tradition, the solution of our canonical problem coincides, strange as it may seem, with the most practical solution, with common sense. But it is not strange. For Tradition is not a dead conformity with the past. Tradition is life and truth and the source of life. “Ye shall know the Truth and the Truth shall make you free.”— free to follow the glorious Truth and to fulfill in this great country the mission of Orthodoxy. ”The duty of obedience ceases when the bishop deviates from the Catholic norm, and the people have the right to accuse and even to depose him,” G. Florovsky, “Sobornost—The Catholicity of the Church” in The Church of God, London, 1934, p. 72. Cf. John Meyendorff, “One Bishop in One City” (Canon 3, First Ecum. Council) in St. Vladimir’s Seminary Quarterly, 1961, vol. 5, 1-2, pp. 54-62. G. Florovsky, op. cit., p. 32. ”On the day of Pentecost the Spirit descends not only on the Apostles, but also on those who were present with them; not only on the Twelve, but on the entire multitude (compare Chrysostom’s Discourses and his Interpretation of Acts). This means that the Spirit descends on the whole of the Primitive Church, then present in Jerusalem. But though the Spirit is one, the gifts and ministrations of the Church are very varied, so that while in the sacrament of Pentecost the Spirit descends on all, it is on the Twelve alone that He bestows the power and the rank of priesthood promised to them by our Lord in the days of His flesh. The distinctive features of priesthood do not become blurred in the all-embracing fulness of Pentecost. But the simultaneity of this Catholic outpouring of the Spirit on the entire Church witnesses to the fact that priesthood was founded within the sobornost of the church,” G. Florovsky, op. Cit., p. 331. For a description of that situation cf. D. Grigorieff, “The Historical Background of Orthodoxy in America” in St. Vladimir’s Seminary Quarterly, vol. 5, 1961, 1-2, p. 3 ff. There were 3 Bishops at the Sobor of Detroit. Cf. Grigorieff, op. cit., pp. 19 ff. and A. Bogolepov, Toward an American Orthodox Church, New York, 1963, pp. 78 ff. Cf. Bogolepov, op. cit., p. 81 and especially Grigorieff, op. cit., pp. 29-32. Quoted in Grigorieff, op. cit., p. 32. Cf. A. Schmemann “Byzantine Theocracy and the Orthodox Church” in St. Vladimir’s Seminary Quarterly, Vol. 1, No. 2, 1953. ”In the ordination of a bishop no separate bishop can act for himself as a bishop of a definite and particular local Church He acts as a representative of the sobornost of co-bishops, as a member, and shares of this sobornost… In addition to this it is implied that these bishops are not separated and indeed are inseparable from their flocks. Every co-ordainer acts in the name of Catholic sobornost and fulness… Again, these are not only canonical, or administrative, or disciplinary measures. One feels that there is a mystical depth in them. No realization or extension of Apostolic Succession is other-wise possible apart from the unbreakable sobornost of the whole Church.” G. Florovsky, op. cit., p. 31. Cf. my essay “The Idea of Primacy in Orthodox Ecclesiology” cited above and also my essay “Towards a Theology of Councils” in St. Vladimir’s Seminary Quarterly, Vol. 6, No. 4, 1962. I am currently a Southern Baptist and have been attending a Greek Orthodox Church in Athens, Georgia full time for the past 5 years. I have asked many of my friends to visit with me, but the answer is always no. The sincerely seem to believe that the Greek Orthodox Church is no more than a social club, basically for Greeks and their friends. The biggest hurdle for Orthodoxy in this area is to move all Orthodoxy to only one affiliation and then I expect Orthodoxy to really flourish. Thanks for posting this again. amen, I hear people who is not Orthodox thinks that the Greek church is only for Greeks , Russian church is for Russians and I hear even orthodox Christians who are Russian won’t go to church if there isn’t a Russian church in their area even though maybe there is a Greek or Romanian or another Orthodox church so just being an Orthodox church without using Russian or Greek etc would be super and I know some churches who use for example ST. John the Baptist Orthodox Christian church or Orthodox church for we all are of the same faith and doctrines and teachings just different nationalities and different customs. We need to bring more sheep into the fold and into the fullness of truth.